When you first picked up a baseball as a child, whoever introduced the game to you did so because they thought you would enjoy it—something that you would love because of the happiness it brought you. 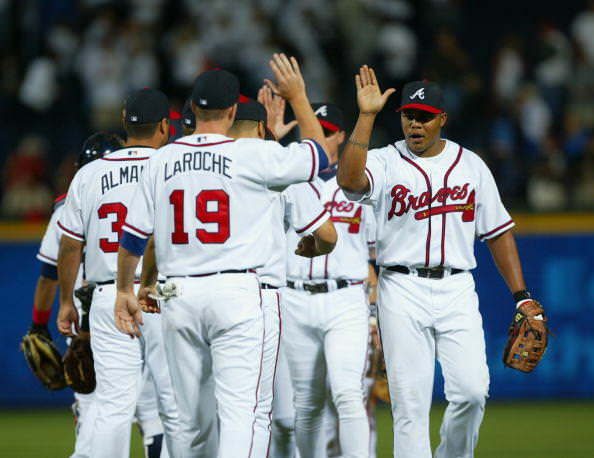 That is the game of Baseball’s ultimate purpose. Too much in this day of hyper-criticized athletes do we lose sight of that purpose. 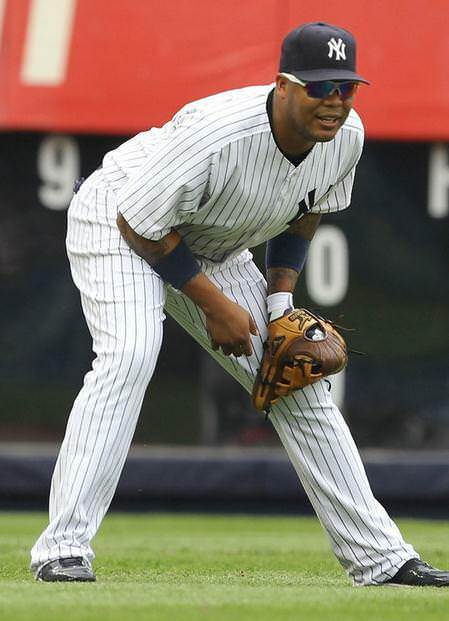 Controversy sells newspapers and winning puts asses in the seats, so baseball disintegrates into a cutthroat trade to be sliced to shreds by the media. We constantly attack players for not living up to expectations that were set for them by people who couldn’t dream to reach those levels of excellence. We expect our players to be soldiers. We expect them to be robots—when they are players. 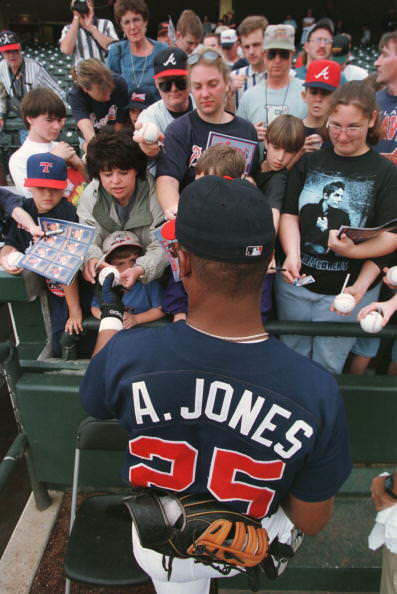 Throughout his career, Andruw Jones has been the subject of that negativity. The major reason why? 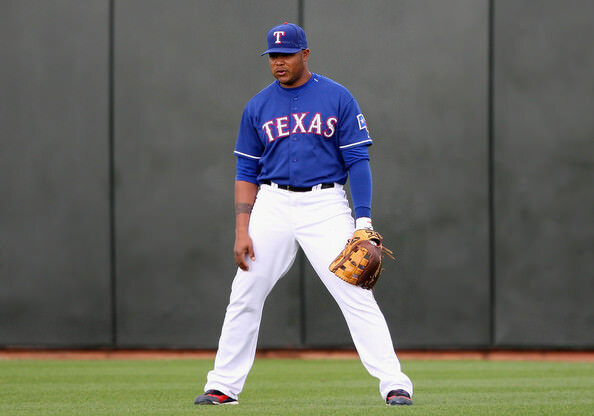 Because Jones plays the game the way it was originally meant to be played—with a smile on his face. Two of the most outstanding players in the last 20 years, and they did it with a smile. 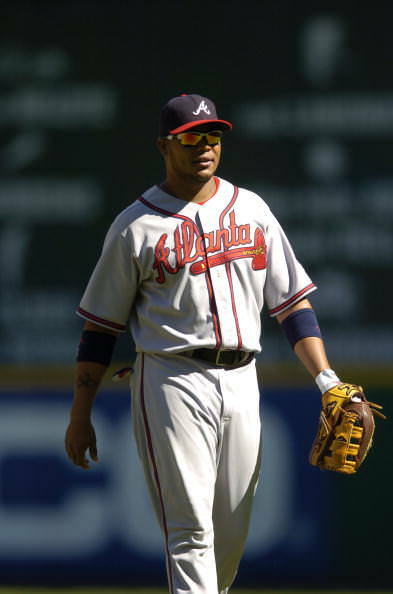 As a counter to the sour old Moore’s haughtiness, here is my own tribute to Andruw Jones—the gloves that he lit up highlight reels with throughout his career. 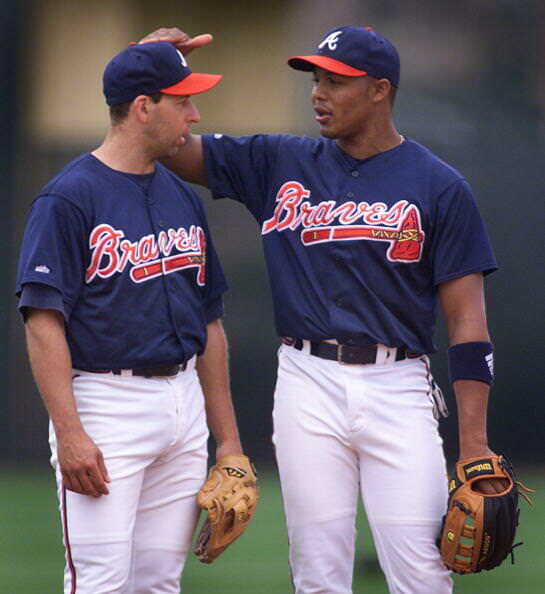 For most of his time with the Braves, Jones wore a Wilson A2000 1955 (discontinued) just like you see below. Jones would wear the 1955 with the dial fit through 2006 (in brown that season). 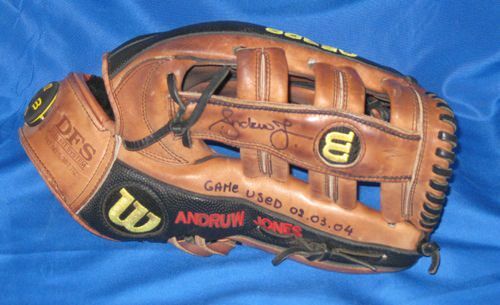 Today’s most similar glove to Jones’ discontinued model is the Wilson A2000 ELO. The Mizuno GCP86X is still being produced in a coffee-colored leather. 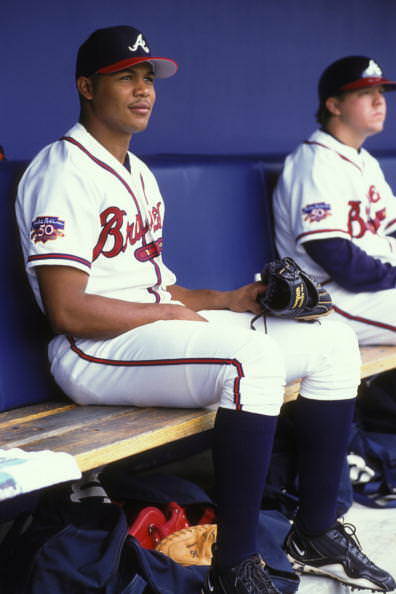 Its no wonder every pitcher on the Braves in those days was a stud. That ball had no business being caught. I wish there were more highlights of Jones’ plays, if anyone finds some, please let me know. He was a REGULAR “Web Gem” on Baseball Tonight back in the day, and I just can’t seem to find anything that will do him justice online.